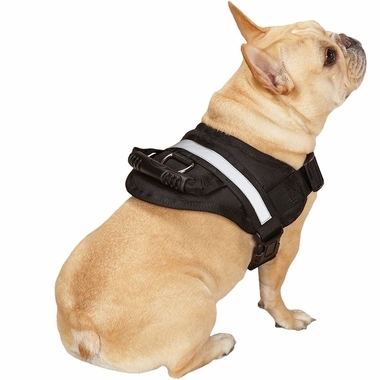 Sizing Guide: Measure the broadest part of dog’s chest. 1. Unfasten the plastic buckle on the chest strap. 2. 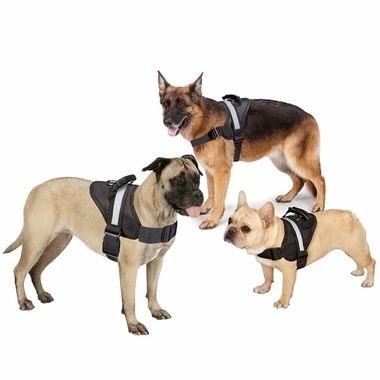 Fit the neck strap over the dogs head and rest the harness between dog’s shoulders and center back. 3. 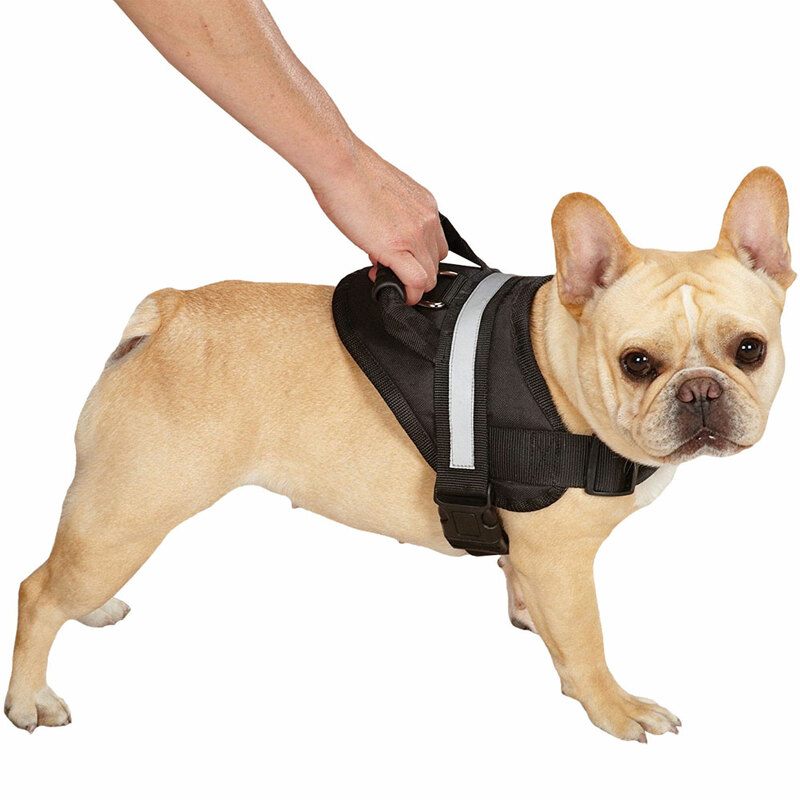 Adjust the slide on the chest strap and then fasten the buckle leaving enough space for 2 fingers to slide between harness and dog. 4. 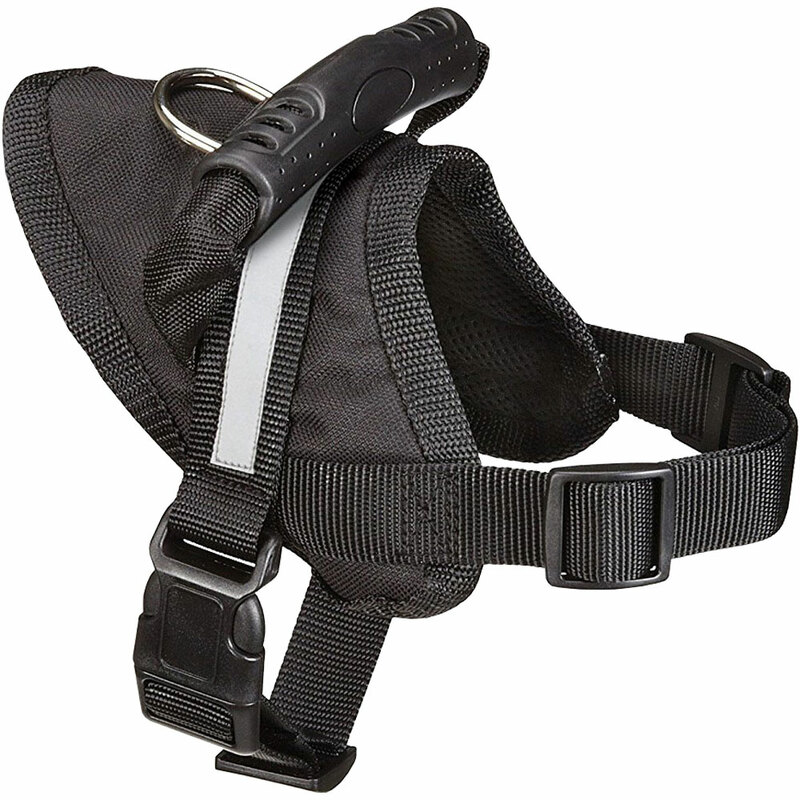 Then adjust the slide on the neck strap so the harness is secure.